This is Holly a beautiful inspirational young woman who despite life throwing everything at her including two life saving organ transplants last year she has survived and she is educating others about the dangers of Diabetes. I felt super privileged to meet and take shots of Holly and to meet her lovely husband Lynton who also came to her shoot (Holly uses a wheel chair so she needed some assistance). Holly explained to me bravely that the shoot was part of her healing, to show her scars and not feel any shame, to accept them and show others she won the battle. I promised to share some of her images as she asked as she wants other young people who are Diabetic to take the condition seriously and she also wants to show other people who have scars that it’s okay to show them. 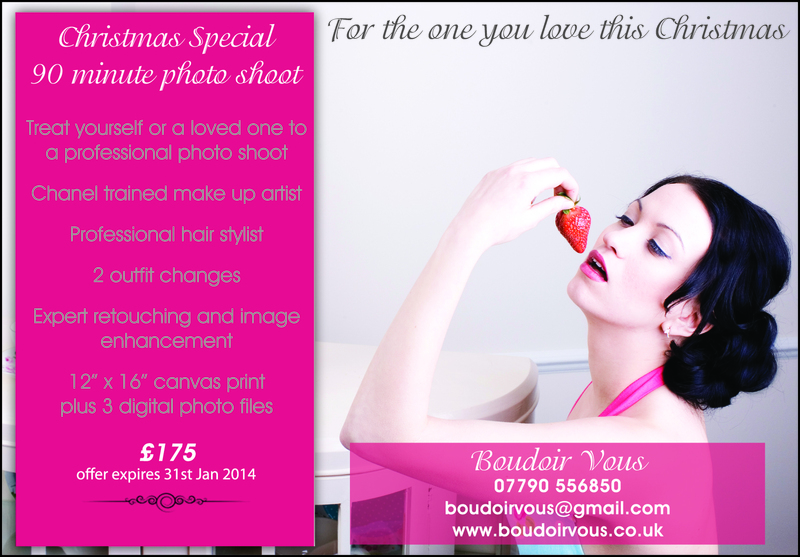 All images taken at Boudoirvous studio in Colchester, Essex. What to wear on arrival: Remember that some clothing will dig into your skin and cause lines, the worst culprits are socks which cause lines around the ankles, bra’s which leave lines on the shoulder and across the back and under your bust and knickers which leave lines around your bottom or across the tops of your thighs. Although it is possible to photo-shop these lines out it can sometimes be very tricky so please try and wear loose fitting underwear which is not tight on the day. Remember the details: Most women will want to wax or shave but do remember to moisturise, the lights and heat in the room will dry your skin out so moisturising your after your shower or bath is a good idea. Think about every detail of your body, your eyebrows, your nails on your hands and feet, are you going to wear earring’s if so will they match with your chosen outfit? 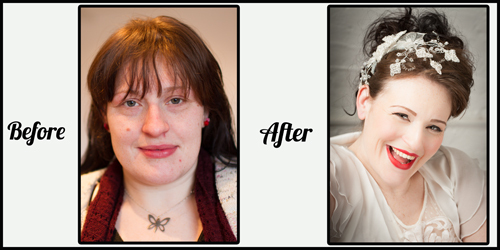 Make-up: Most clients turn up with no make up or wearing very little, don’t worry if you do not feel comfortable going out without make-up on as the make-up artist always removes any make-up and cleanses your skin before she starts applying make-up for your shoot. Hair: Most hair dressers will tell you that if you are going to style your hair it will behave better if it hasn’t been freshly washed, so try not to arrive on the day with washed hair. 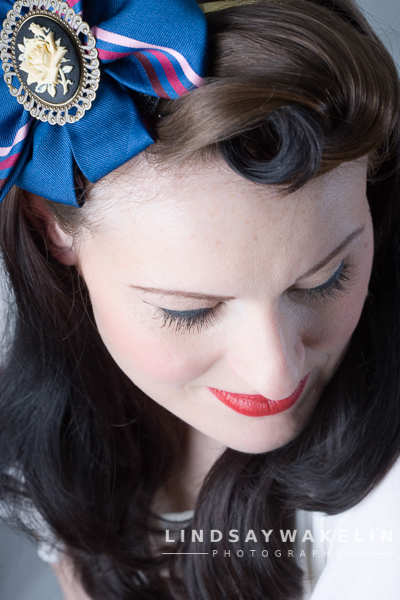 Especially if you are thinking about having your hair curled or crimped, it takes better and stays in longer on hair which hasn’t just been washed. 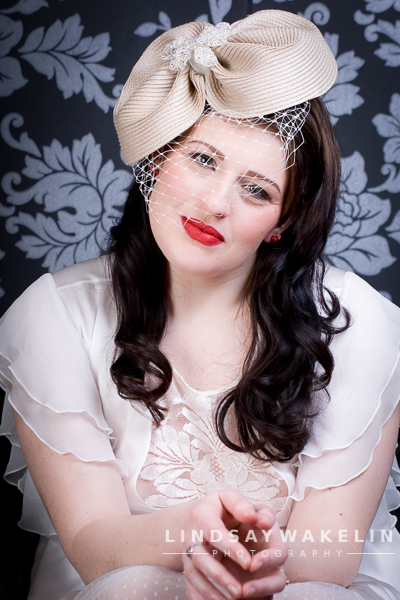 Lastly try not to feel too nervous, your Boudoir shoot is about making you look and feel fabulous. It is completely private and confidential and images are only shared if you give me written permission to do so. 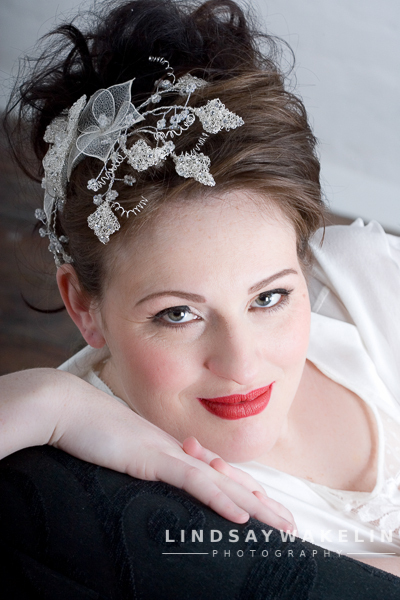 Beautiful bridal headdresses and accessories by Amanda Sutherland.